B2B technology marketing advice. Each show tackles a common problem by revealing uncommon solutions. What's standing in your way? Season 1 is about content marketing. In this show: a story of two marketers who need fresh topic ideas for their B2B content marketing campaign. They’ve tried brainstorming and got only stale, copycat ideas. Now they’re on deadline. Rachel has downloaded an "AI Ideation Bot" for content marketing. Dave is skeptical. We have some fun with artificial intelligence, then get down to the serious business of ideation. Good content topics are the most important factor in getting and holding a buyer’s attention throughout the buyer’s journey. Overused commodity ideas won’t stand out from the morass of content that your competitors are churning out every day. When the idea well runs dry, focus on topics that will help your buyers achieve some kind of business value. Value comes in many forms: customer experience, business agility, and dozens of other categories. Some kinds of business value are quantitative, some are intangible. Some are economic, some are strategic. See the examples in the companion blog post, "Ideation Using Goals with Business Value." Your content has to match the intent of the buyer at a particular stage of their buyer’s journey. Download my template for a planning spreadsheet with the steps of the buyer’s journey down the left side, and columns for two or three big-picture objectives for your target audience. Use that to map content (and channels) to the journey. Where do you get content marketing ideas to fill in the boxes of the spreadsheet? Talking to customers is the best way to learn about high-priority objectives and sources of business value. 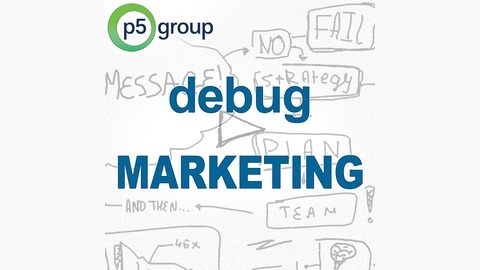 If you can’t talk directly to customers – for example if you sell through protective channels – do some detective work. This show offers a list of great suggestions for discovering business value and topics related to it. The blog post recommends even more sources. When you develop empathy for the progress your audience is trying to achieve, and your brainstorming is inspired by your customer’s big picture, you’ll find way more topics than you need. 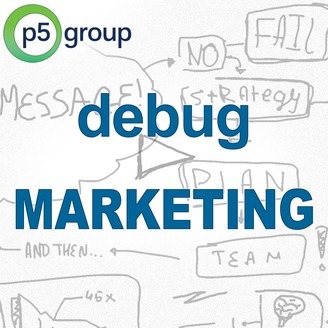 Ask Debug Marketing: Why Do You Use Parables? 1.0 What This Podcast Is About!